In Peyton Reed's Ant-Man and the Wasp, audiences get a whole new look at one of Marvel's multiverse locations -- the Quantum Realm. 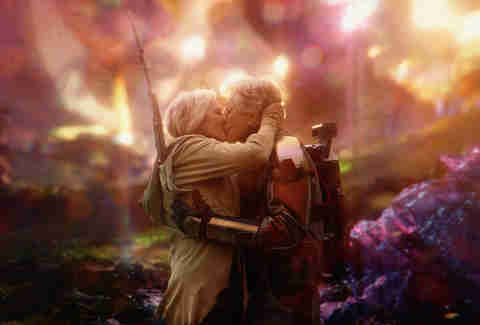 It's here that Hank Pym (Michael Douglas) searches for his wife Janet van Dyne (Michelle Pfeiffer), who has been trapped in this alternate dimension for many years. One of the original ideas for the Quantum Realm was to play on the notions of quantum mechanics. 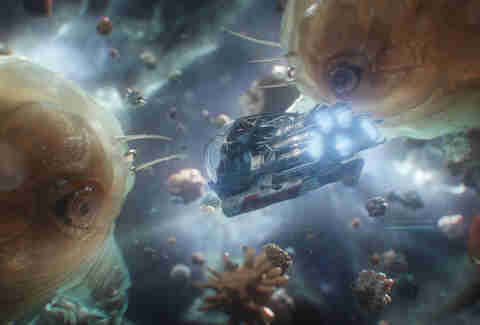 "In quantum mechanics," says Method Studios visual effects supervisor Andrew Hellen, who worked with overall visual effects supervisor Stephane Ceretti on Quantum Realm scenes, "is the idea that you can't be in the one place at the one time. You might be split over two. You might be walking around one area, but you'll be also manifested somewhere else." "Everything was moving," says Hellen. "Everything was an effects simulation. We had multiple different layers to those effects simulations to give us different types of effects. We had large crystalline-type spikes that were coming up out of the ground, as well as negative height fields, which were areas that were eating away down into the ground and had a refractive, glassy kind of quality to them with underneath lighting." "We used real creatures' [images as a] reference just off the internet," says Hellen. "We were playing around with the whole macro feel to them, so we implemented a lot of subsurface and macro photography to what was essentially a pollen-like environment." 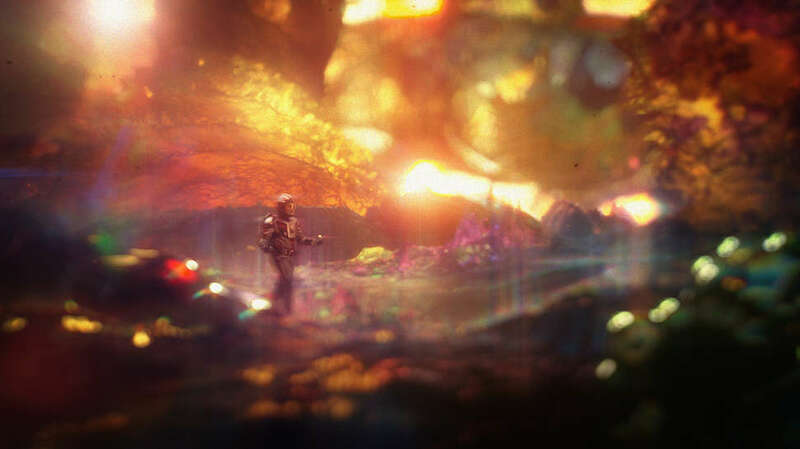 Having moved on from the idea of the characters showing signs of quantum mechanics while visiting the Quantum Realm, Method Studios still added other elements to the scenes to suggest it was a highly unusual place. This included the addition of things such as lens aberrations, flares, lens breathing" to show the frenetic energy of the Realm. Some of the look was even based on real photography. "I remember sitting late one night with one of the compositors who was making his own lens flares out of the bottom of his wine glass with a light," shares Hellen. "We were just using all sorts of crazy stuff to mix into the images to add some complexity and weirdness." Although the Quantum Realm scenes may have shifted slightly from their original incarnations -- Hellen says his studio also worked on fight sequences involving Michelle Pfeiffer's character and a bunch of other creatures -- director Peyton Reed has suggested Quantum Realm deleted scenes may appear on the Ant-Man and the Wasp DVD or Blu-ray release. Which means we might all just be able to visit an alternate dimension once more in the not-too-distant future. Ian Failes is a specialist quantum physicist, err, visual effects writer. Follow him @vfxblog.